The Cleveland Cavaliers finished shootaround in New York on Monday and decided to take the subway to their hotel instead of the bus. Only a few people seemed to recognize the Cavs squad taking public transportation in the heart of New York. The Cleveland Cavaliers decided to get an authentic New York City experience on Monday before a game against the New York Knicks. After finishing the team shootaround in the morning, the Cavaliers apparently decided to take the subway instead of a bus to their next stop. The trip was documented both by the NBA's Twitter account and LeBron James on Uninterrupted. In James' video, Cavs guard Kyle Korver said the team was faced with either a 45-minute bus ride or a six-minute train ride, so they decided to take the public transportation route. 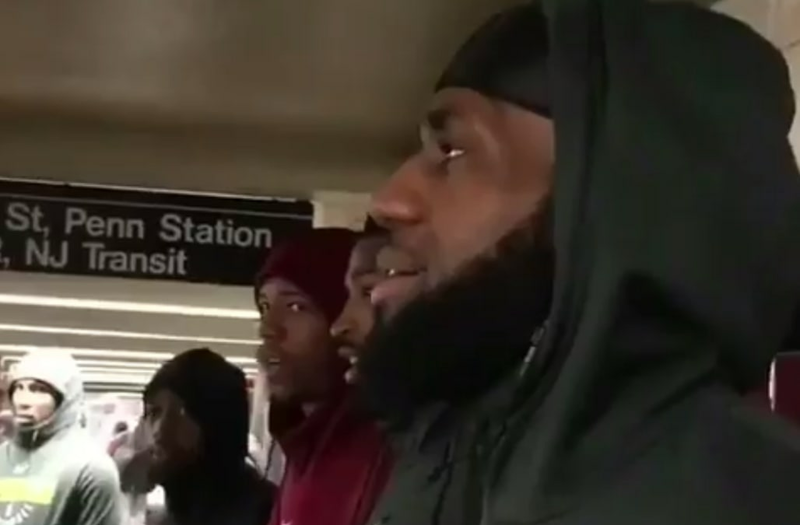 The highlights included J.R. Smith being recognized as the team walked through Penn Station and a man riding the train getting startled when James filmed him.